Although we know the weather is never “typical” in Colorado, we’ve settled quite nicely into our normal mid to late summer pattern across the front range of Colorado. This means clear, warm mornings followed by pop up thunderstorms each afternoon and this week will feature quite a bit of that. Sadly, the first part of the week will feature only very slight chances for storms so any areas that see rain will be lucky! 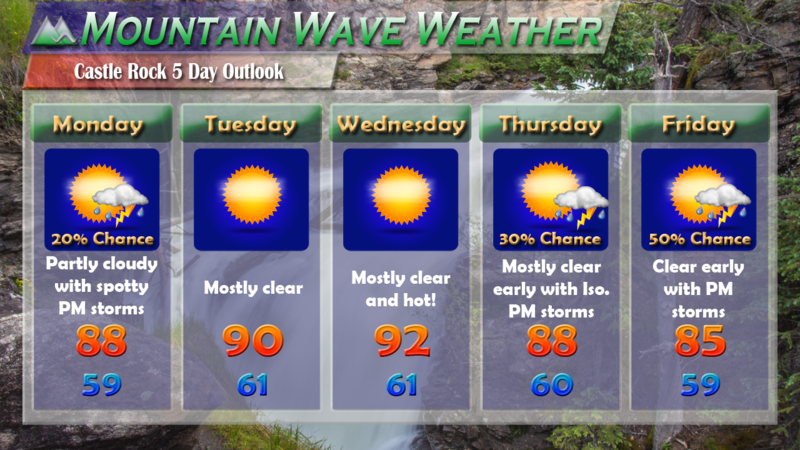 The heat will continue as we see a strong high pressure ridge re-develop over the area bringing warm and drier air. 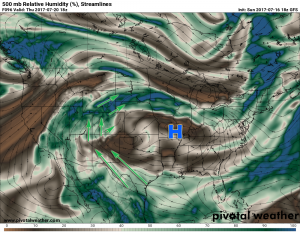 We can track where the best areas of atmospheric moisture are by looking at a model with humidity. 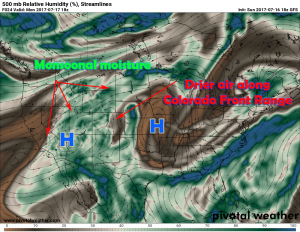 The one above shows the pattern on Monday and as you can see two strong high pressure areas will keep most of the best moisture west in the Mountains and East of Colorado. We may see a few pop up storms but nothing too widespread on Monday. 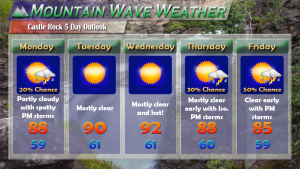 Tuesday and Wednesday look mainly dry as those high pressure ridges strengthen and keep the air very warm and very dry. By later in the week the high pressure shifts East again meaning we could see a better chance for storms. Later in the week most models have the high pressure ridge shifting to the East bringing better moisture into Colorado. The catch here is that models still differ on where the high shifts to and that can make all the difference for our rain chances. 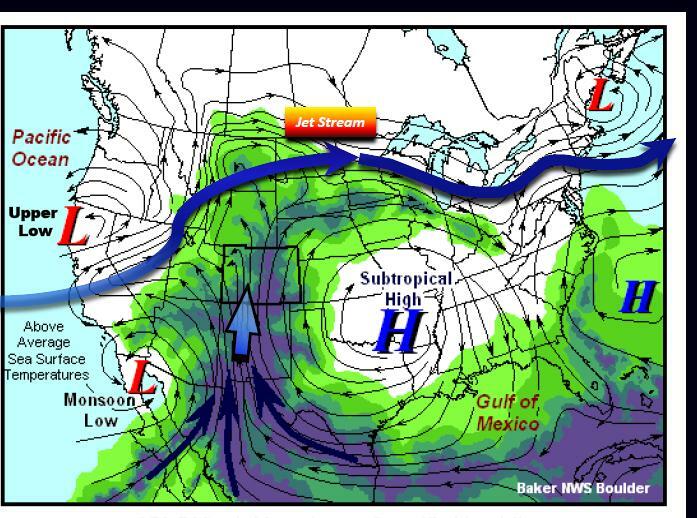 As of right now we are favoring a stormier and cooler pattern by the end of the week into the weekend. We’ll keep an eye on that and update if we see anything change. Remember, we want a setup like below for good monsoon thunderstorms in Colorado, so keep an eye out! Hopefully we will be seeing a bit more consistent rain by weekend into next week if everything holds together. Have a great week!